Operating a farm is a 24-7 commitment. So is raising a family. Balancing the two can be a juggling act. Just ask Sally Bernard, who operates Barnyard Organics and is raising four children with her husband Mark in Prince Edward Island. Bernard’s advice for making it work is to include kids early, as well as to set expectations and prepare to have them met. “The more they are included, and not just as observers but as participants, the earlier they’ll be helpful and able to take on tasks by themselves,” Bernard says. She adds she intentionally chose to have some livestock on the farm the children could manage on their own, so they could have a vested interest and responsibility early on. Farm safety needs to be a priority. Because children come with an invincible mindset, Bernard says, they need to be watched and taught. In those cases when kids would be unsafe, having someone else care for them is important to get the job done. Have a benefit plan that includes maternity/parental leave for farm owners. One option is belonging to the Chamber of Commerce where business owners, including farmers, are eligible to join a group insurance plan. “There are multiple plans and levels for farm owners to choose from for themselves and their employees,” says Filipchuck. Have a maternity/parental leave fund established. “This can support either a loss of income while on leave, cover costs of hiring additional labour or contract work in the absence of the person on leave, or cover the cost of child care if there are some areas of the business that the owners must stay engaged in during their part-time leave and will need additional child-care support,” says Filipchuck. Maintain a strong working capital and strong overall financial health of the business. This helps ensure farm owners are adequately equipped to comfortably afford a planned, or unplanned, leave. Self-employed individuals can also register with the Canada Employment Insurance Commission to participate in the Employment Insurance program which includes special benefits such as maternity and parental leave. Balancing farm and family life is a juggling act but it can often be done with proper planning and support. 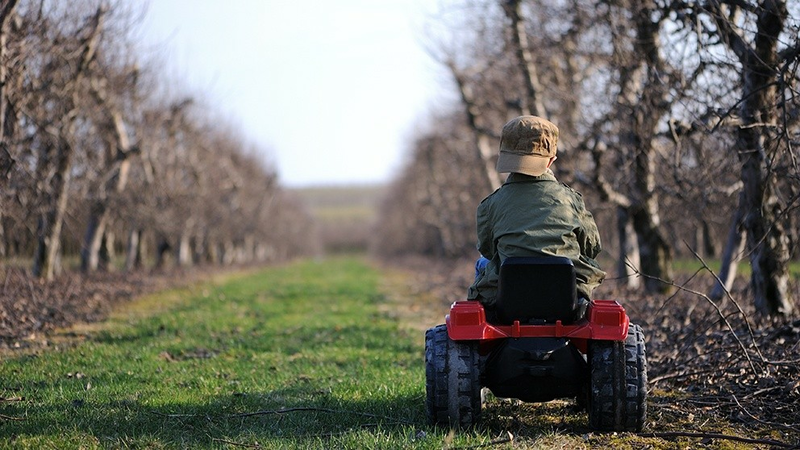 Include children in farm chores early and set expectations with them but bring in help when necessary. Financial experts suggest establishing a maternity fund and maintaining overall good farm financial health in case of planned or unplanned leave.